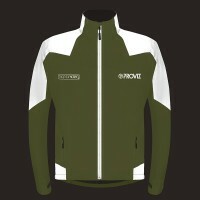 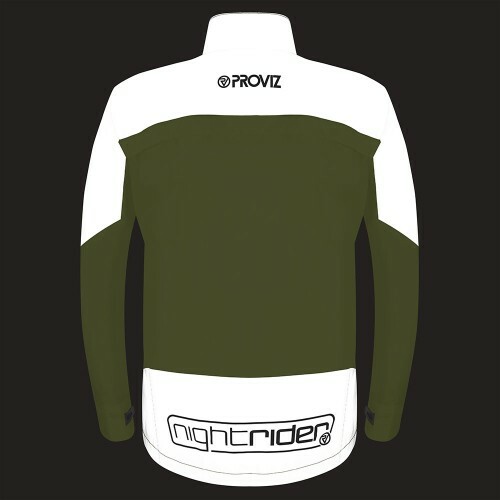 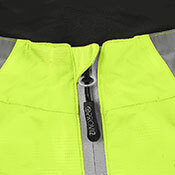 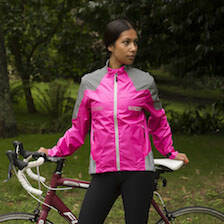 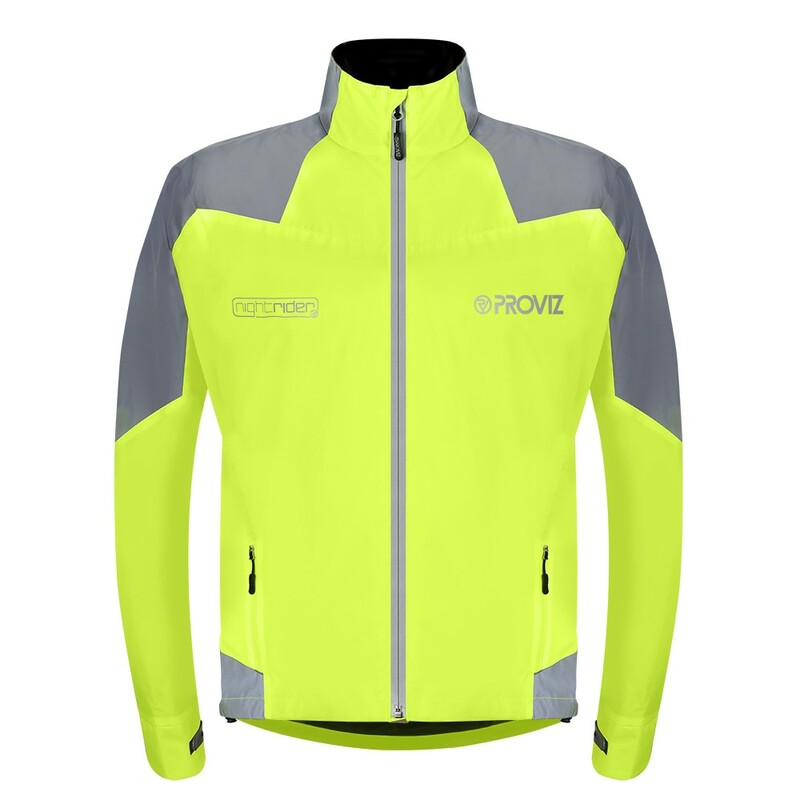 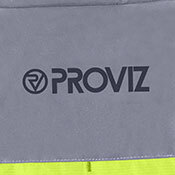 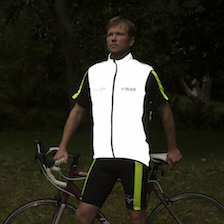 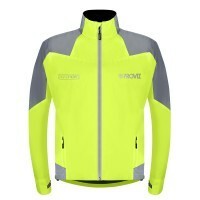 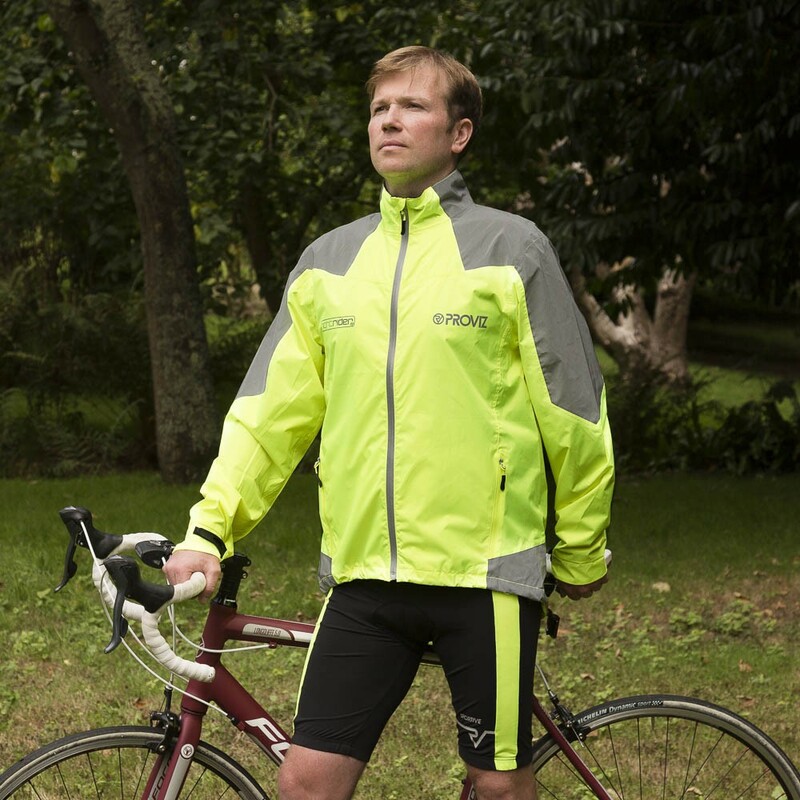 Road.cc : "Very impressive high-vis/reflective jacket for wet and dark, or even bright and dry conditions." 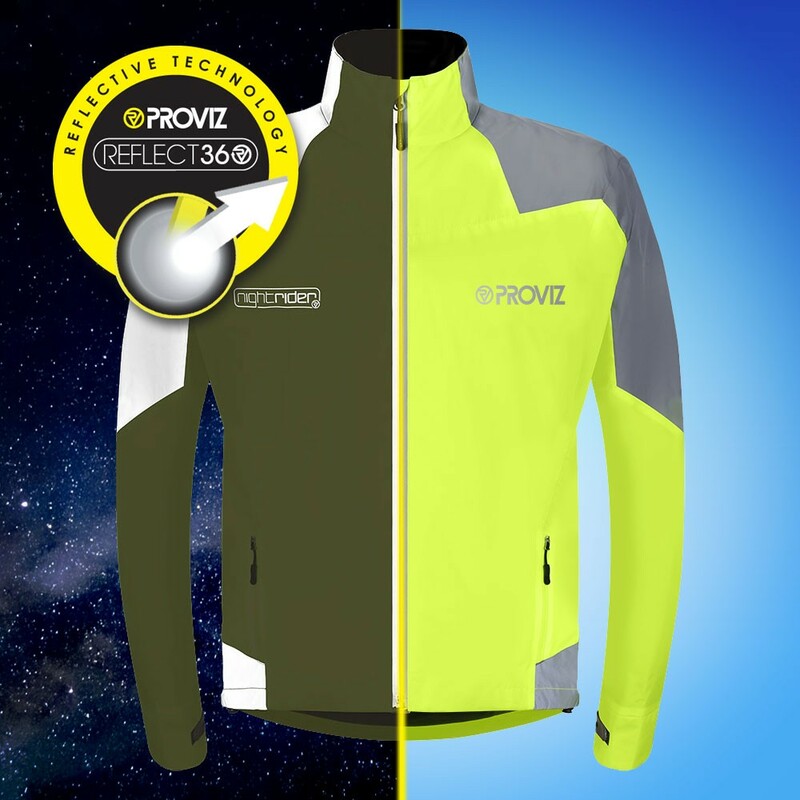 We have used the same material as our world-renowned REFLECT360 range. 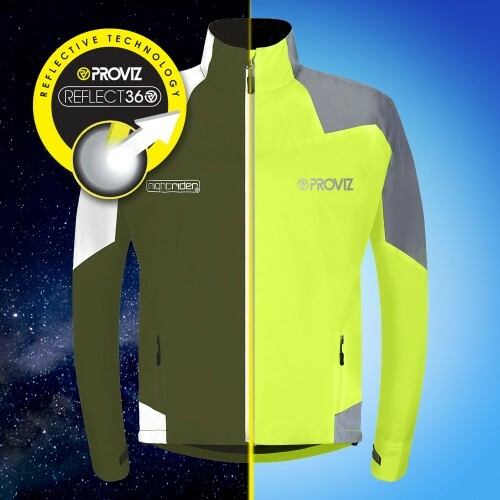 The material has been strategically positioned on the jacket to give the maximum amount of retro-reflection. 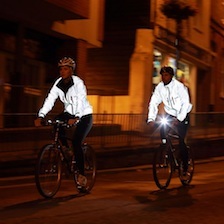 Light from a vehicle's headlights are reflected back towards the driver to help you be seen more clearly at night and defy the darkness! Fantastic upgrade from the previous nightrider jacket that I used to have and lasted me well for 5 years. 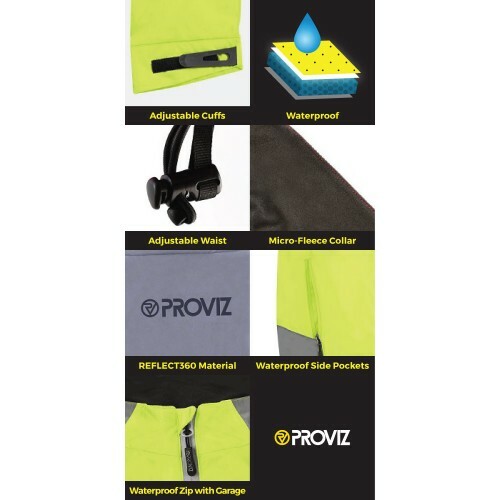 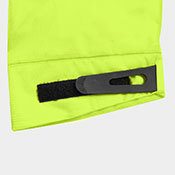 Excellent material that gives waterproofing and fluro viz by day. 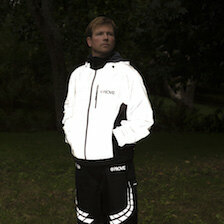 Grey areas give super bright reflectivry at night. 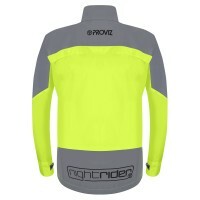 Nice cut, perfect all round and at a good price for my winter commute. 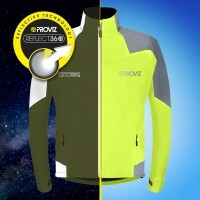 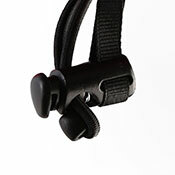 Using this for day and night, it is a good quality jacket, arrived quickly and a good price. 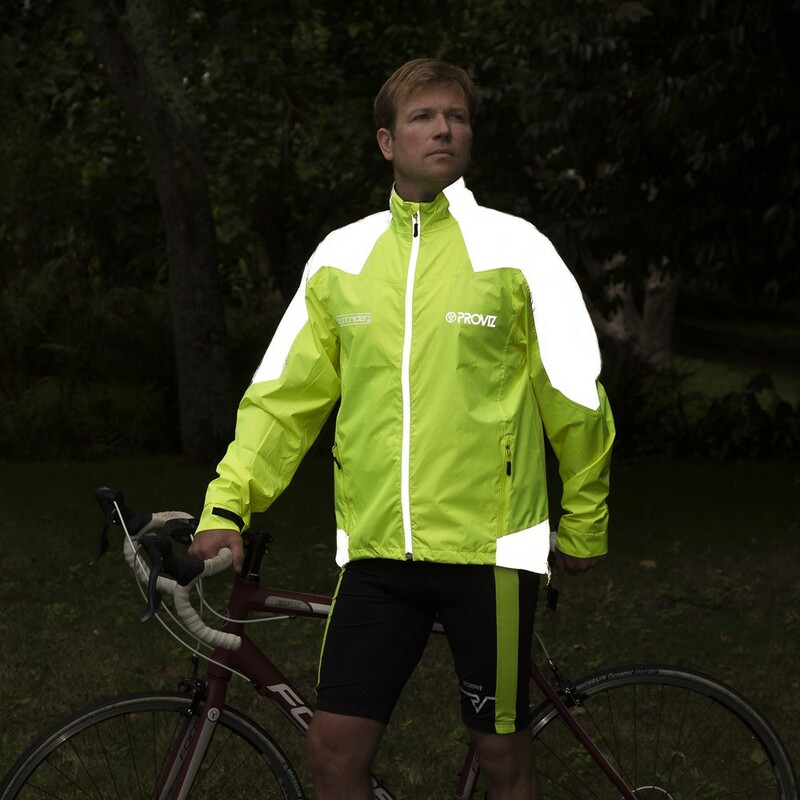 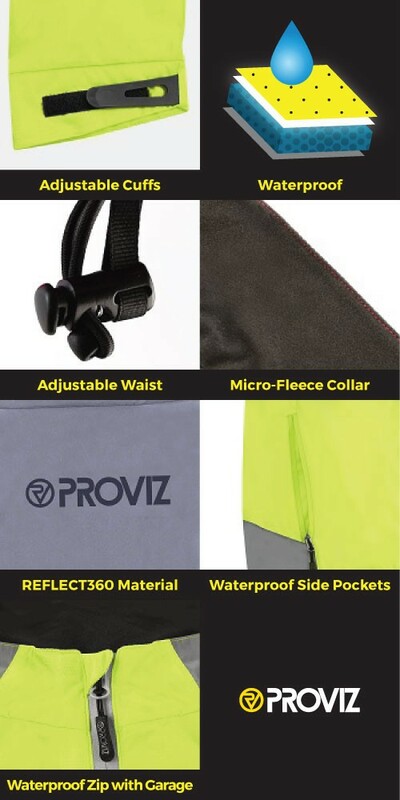 A new combination of our REFLECT360 retro-reflective material and high-spec fluorescent material give a perfect combination for day and night use. 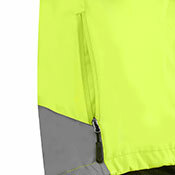 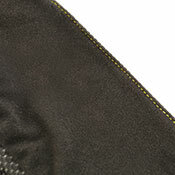 The combination gives the jacket a waterproof and breathability rating of 10,000mm & 10,000gm/24hr.